On Sunday, January 8, 2017, our congregation voted to call Elise Scott as pastor of Ballard First Lutheran Church to serve on a half-time basis for a two-year period. On Saturday, January 21, 2017, Bishop Kirby Unti signed the letter of call, and it was sent on to Elise. On Monday, January 23, 2017, Elise received and signed the Letter of Call! I am happy to report that she will begin her work at Ballard First Lutheran Church on Wednesday, February 1, 2017. She will offer her first Sunday sermon on February 5. Please keep her in your prayers during this time of transition. Elise will not technically be considered a pastor until she is ordained. There is a date for that, too! Her ordination will be held at Ballard First Lutheran on Saturday, February 11, 2017 at 2:00 in the afternoon. Bishop Kirby Unti of the Northwest Washington Synod will preside over her ordination and install her as pastor of our congregation. Elise’s father, Pastor Mark Scott of Holy Trinity Lutheran Church in Marietta, Georgia will be the preacher. Leaders from across the church will participate in the laying on of hands. Then, after she is installed, Pastor Elise Scott will preside at our communion table for the first time. Ordinations are rare for most congregations, including ours. So this will be a historic day for Elise and for our faith community. I hope you will come and surround her with welcome and affirmation. If you want to dress up in the festive spirit of the day, I encourage you to wear the color red. A welcome reception will follow. I am eager for Elise’s time with us. 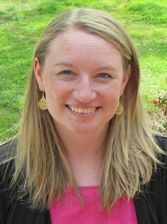 Her arrival heralds a new model for the church: “bi-vocational ministry.” As most of you know, Elise is also an attorney who feels profoundly called to both the work of pastoral ministry and the work of legal guardianship for seniors. The very nature of her call reminds us that God is at work inside and outside of the church. Her presence reminds us that all of our lives present opportunities for ministry. Sometimes it happens under the auspices of the church, but it happens in so many other ways: education, health care, industry, agriculture, business, and commercial fishing to name a handful of them. God cares about it all! ​So I hope you will come and celebrate as this unique, remarkable woman begins her ministry among us!